With the innovation of our gadgets, applications or ‘apps’ are getting more and more popular due to the need to be more specific and convenient. May it be for entertainment, business or personal use, various web geniuses out there have opted to create interesting and useful apps for the wide range of users. 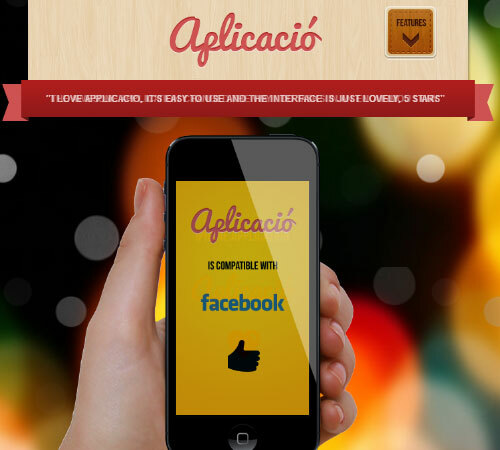 Of course, once you have that great application software, all you have to do now is to promote and advertise. 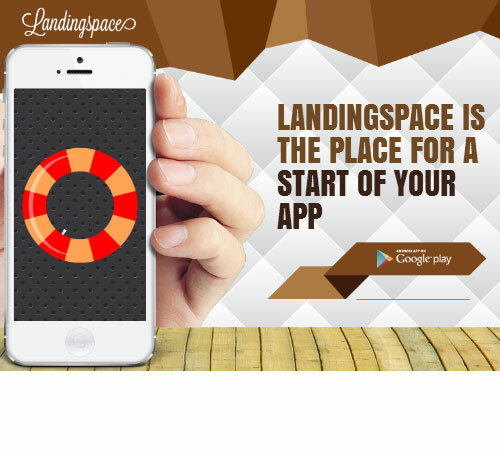 What better way to do that but to create a landing page for your application. 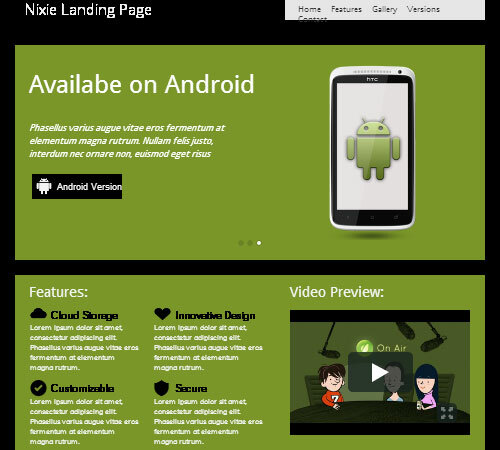 Our previous posts have showcased some cool landing pages that you may purchase and use for advertising products and services. 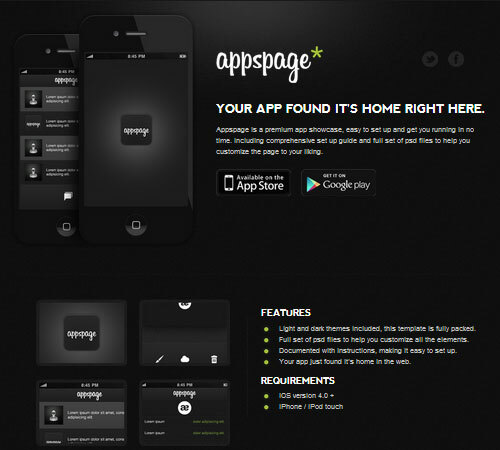 Today, we bring you 50 Premium App Landing Page Templates that you may use for your new apps that you wish to promote. 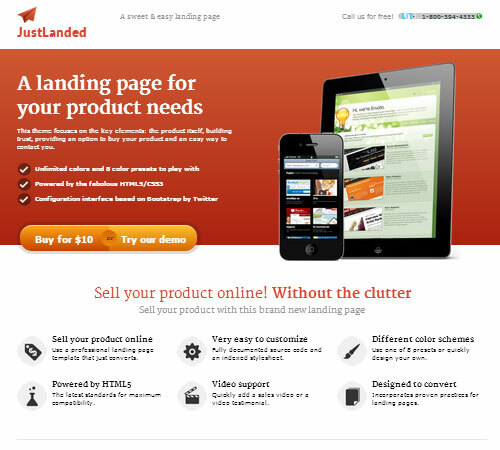 These landing pages are cool and of good quality. Browse through these great collection and check them out!!! • Navigation with jQuery Tabs. 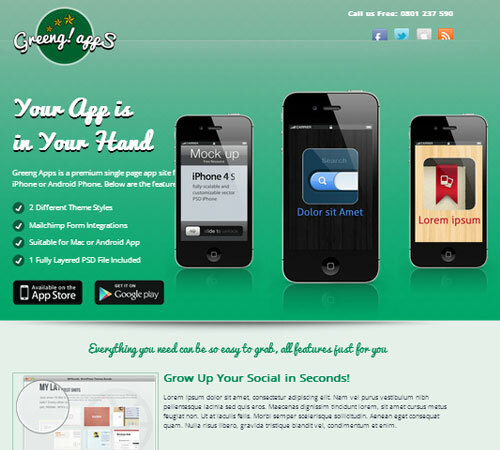 • Templates for tour, screenshots, version history (release notes), contact form, text content. 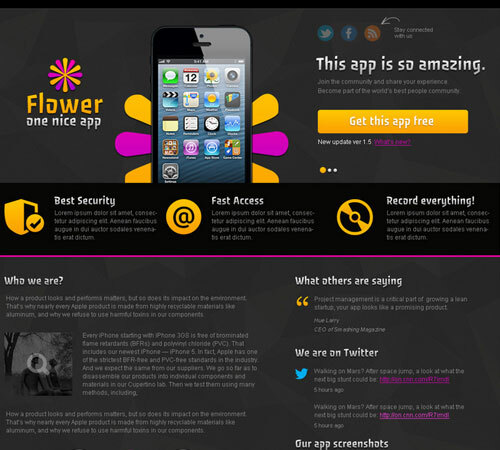 • Contact form with live validation and newsletter subscription form. 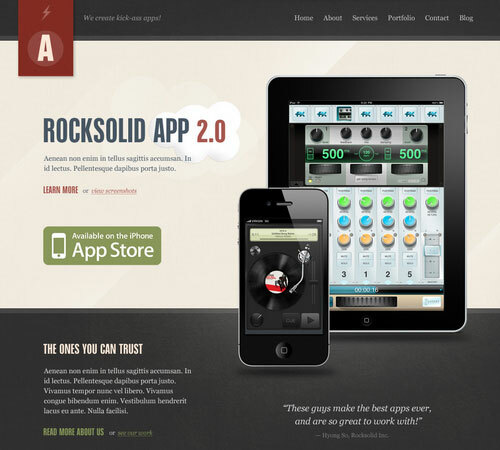 • Enhanced with jQuery and CSS3 — looks great in older browsers too. • jQuery for fading effects etc..
• Valid CSS and HTML. 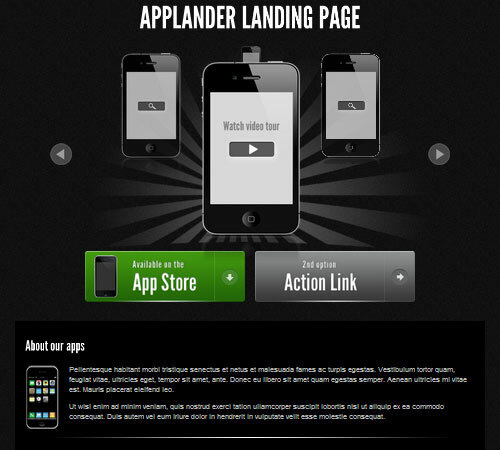 • Custom jQuery slider on homepage. • Working contact form w/ ajax and validation. 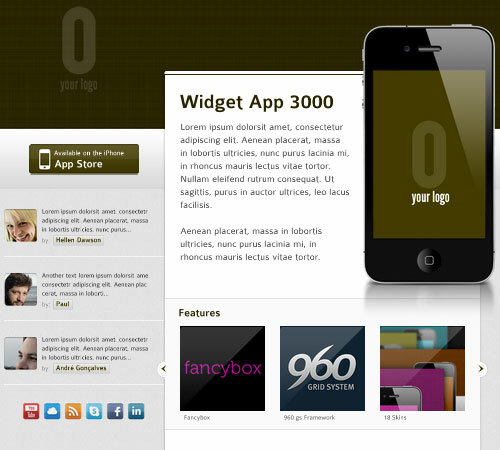 • jQuery Fancyboxes w/ animation. 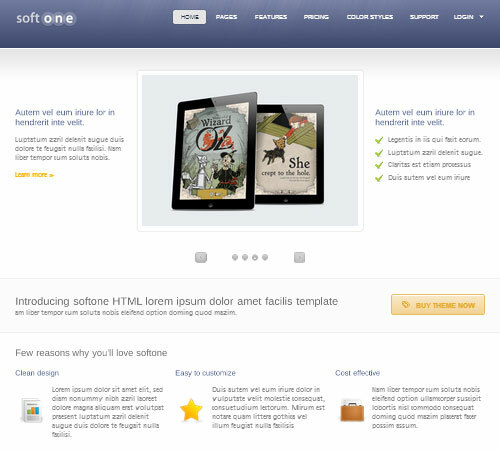 • Unique page layouts with smooth in-place transitions. 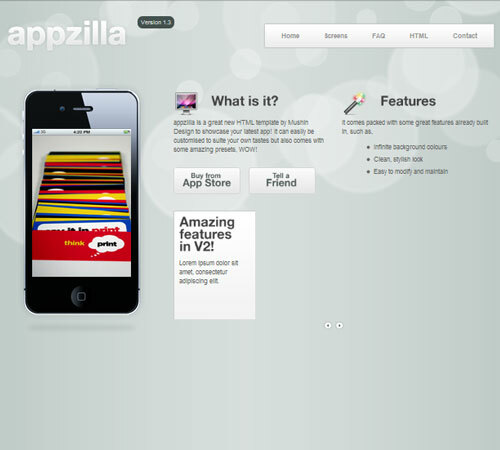 • Semantic HTML5 + CSS3. • Compatible Browsers: IE8, IE9, Firefox 3, Firefox 4, Safari 4, Safari 5, Opera, Chrome. 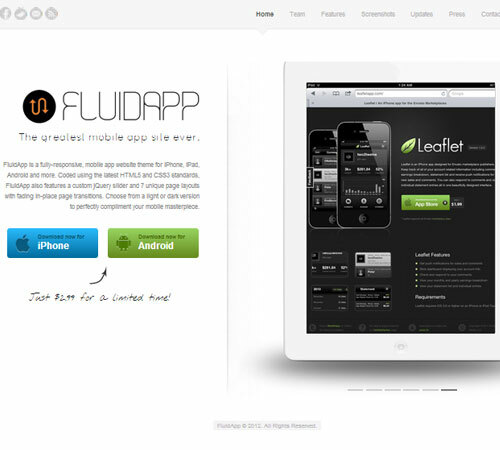 • ThemeForest Files Included: Layered PSD, JPG Image, HTML Files, CSS Files. • Pop up & Working ajax contact form . • jQuery tabs with back/forward support. 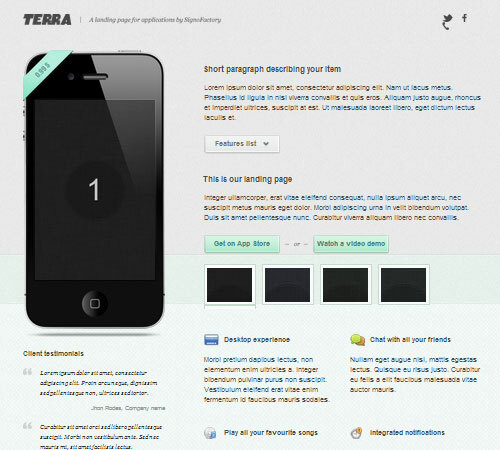 • jQuery auto-scrolling reviews area. 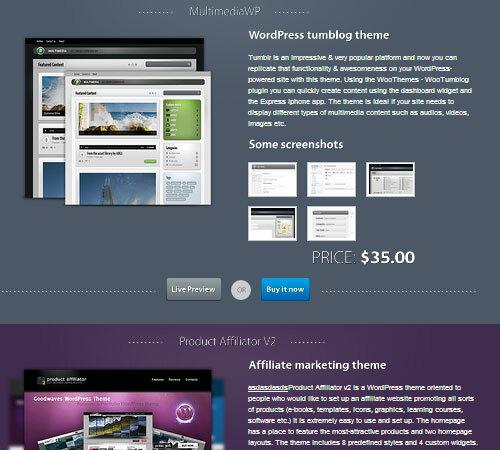 • Flexible layout based on columns. • Imageless coding (where possible) that let’s you create your own skins using only CSS in no time. • Twitter integration – just tweet it and it shows up. • Full set of layered PSD files for the elements you need to customize. • Browser support : IE 8 +, FF 3 +, Safari 4+, Chrome and Opera. • PHP /AJAX Contact Form. • HTML 5 and CSS 3. • Structure based on 960gs. • Clean commented HTML code and CSS code. • Fully layered photoshop files of full design and a bunch of elements for speed changing. 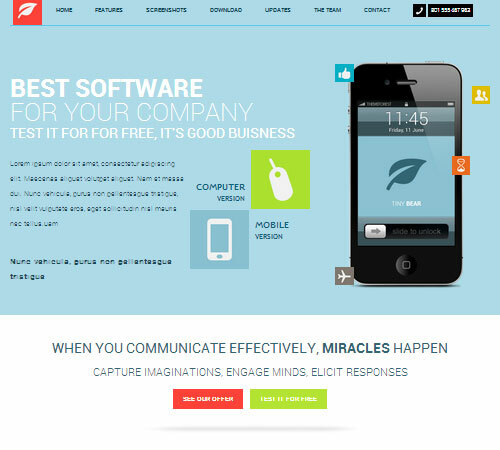 • Fully working contact form with validation. • Cross browser optimization (IE7, IE8 , IE9, Firefox, Safari, Opera, Chrome). 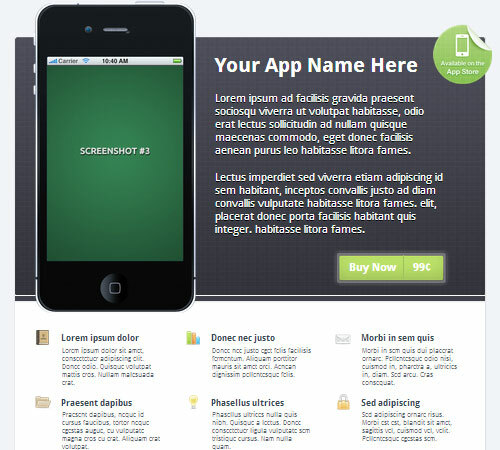 • Huge amount of page templates can be made using the shortcodes HTML pages. • 2 different homepage sliders. 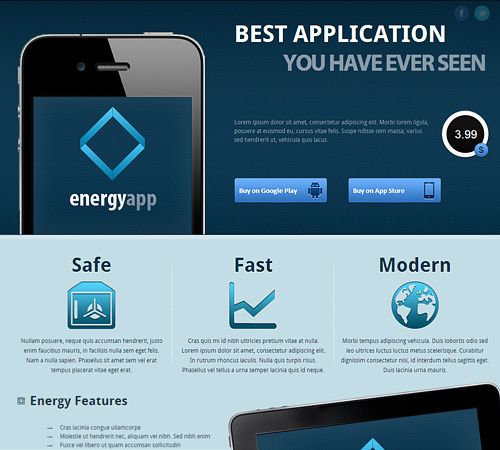 • ThemeForest Files Included: Layered PSD, HTML Files, CSS Files, JS Files, PHP Files. • 9 PSD Files (fully sliced). • Valid XHTML and CSS. • cycle plugin for testimonial. 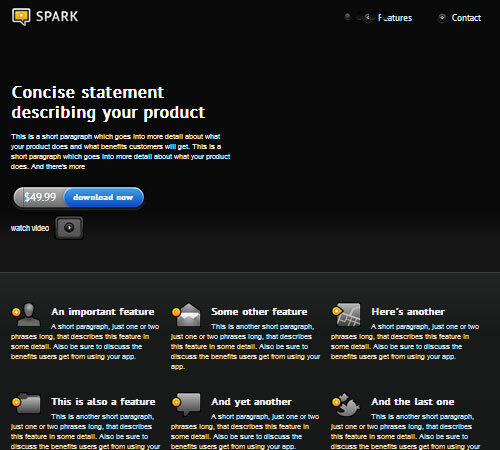 • (X)HTML/CSS website spiced up with some jQuery effects. 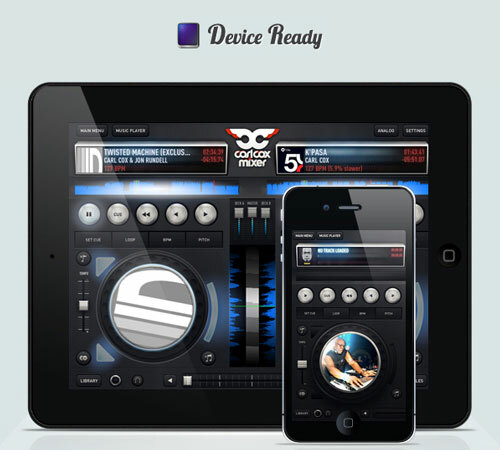 • Cross browser compatible. Very easy to customize. 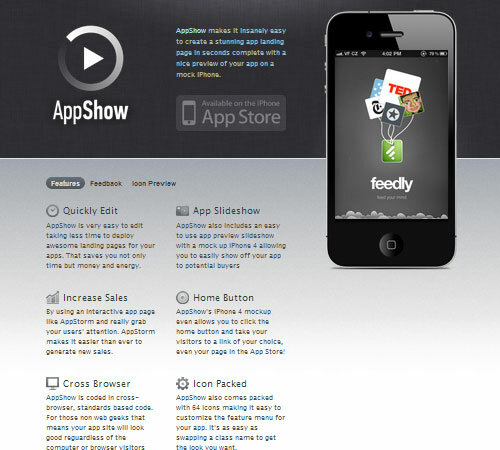 • jQuery slider is used for Homepage featured products. .
• The menu is made with CSS only. Easy to change link text and description. 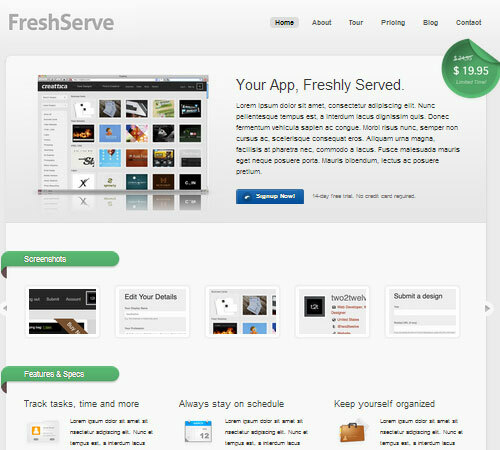 • Clean, modern App Site style design works in all the latest and greatest browsers, and includes patches for the oldies. 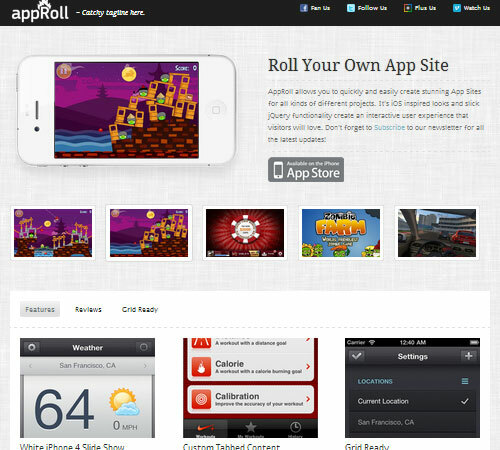 • Working iPhone Home Button can take your visitors where ever you want, even your iTunes App Store page. • 64 Matching feature icons all ready to use with simple CSS classes. • 31 Social media icons, also all ready to use. 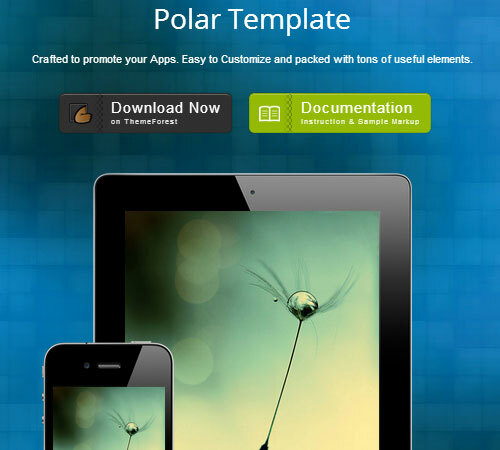 • Professional, 100% W3C valid template is easy to edit with fully commented source. • Working iPhone Home Button – Go give it a click!. • Includes full documentation on using advanced features..
• 31 Ready-to-use social icons with CSS classes. 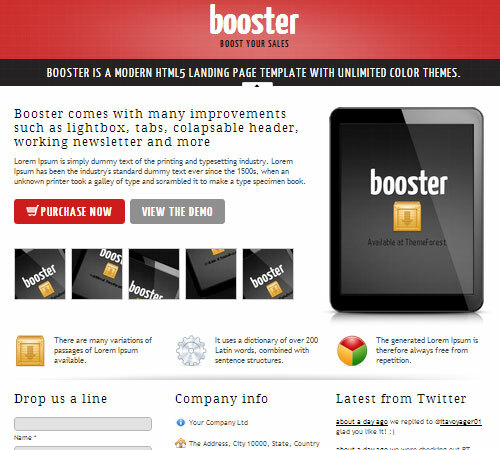 • Built in lightbox support for larger screen shots and preview images + custom jQuery hover effects. • over 150 icons with ready to use CSS classes. 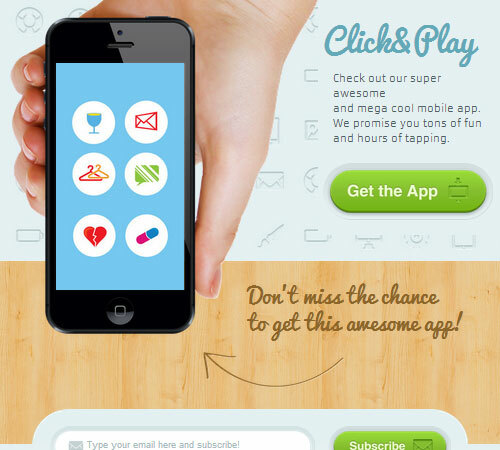 • Custom App Store Button. • 100% W3C valid code. 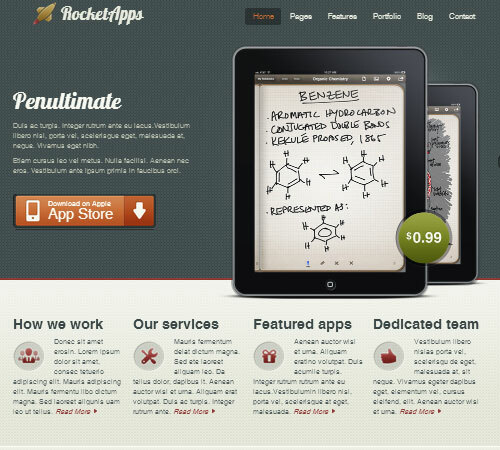 • 13 Valid HTML pages. 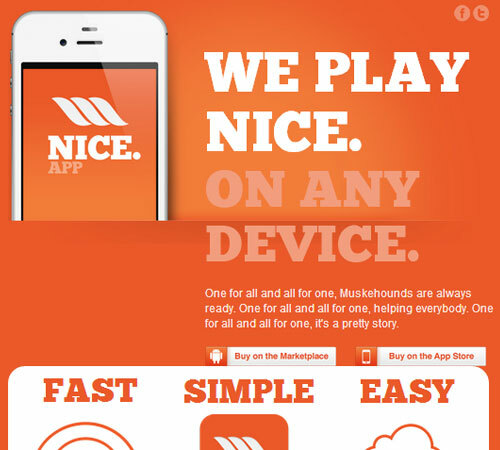 • Various page layouts: fullwidth, w/ sidebar, multicolumn. • Functional Ajax feedback form. 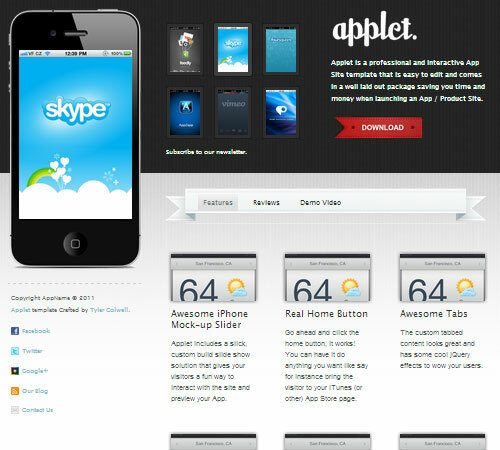 • Photoshop Files to edit the screen in Devices. • 100s of Designs Variations. 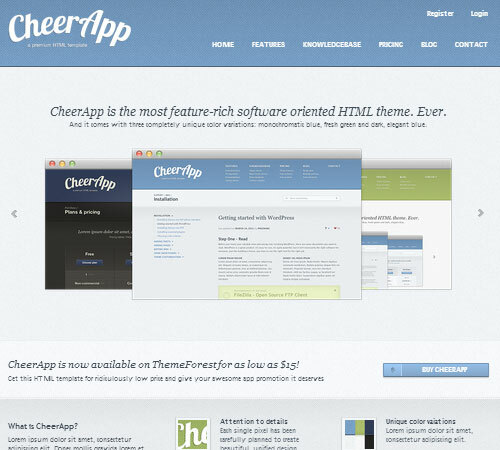 • Everything can be easily customized through the PSD ’s, CSS or PHP files. • prettyPhoto lightbox, jQuery tabs, Tipsy tooltips. • working AJAX powered contact form. 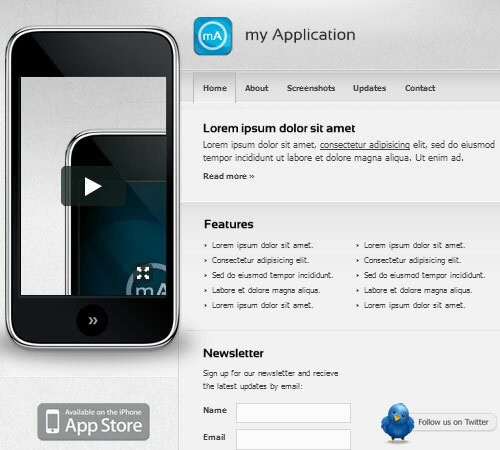 • working AJAX newsletter subscribe form. • Automatic thumbnail generation for slideshow image buttons..
• iPhone Screen doubles as Subscription Form. 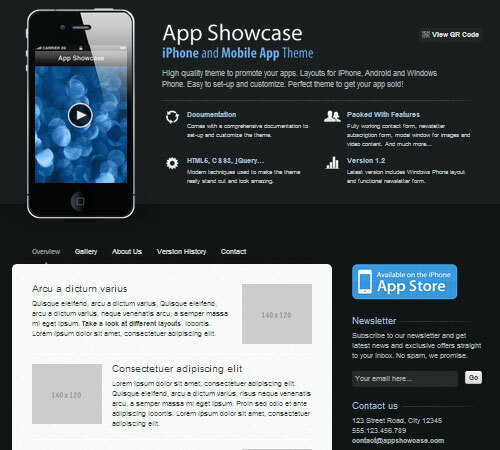 • Comes with 31 ready to use social buttons and CSS classes. • 100% W3C Valid, commented source is easy to edit and includes full documentation for the more advanced features. • uses Google Web Fonts. • with working contact form. • Coda Slider for horizontal layout. • Layered, labelled and grouped PSDs. 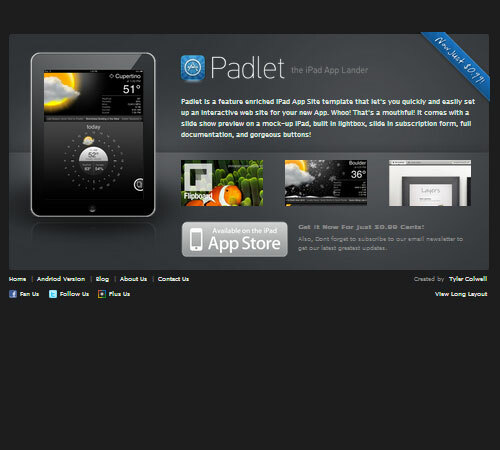 • Includes an easy to use + lightweight light box for showing off even more images and larger screen shots. 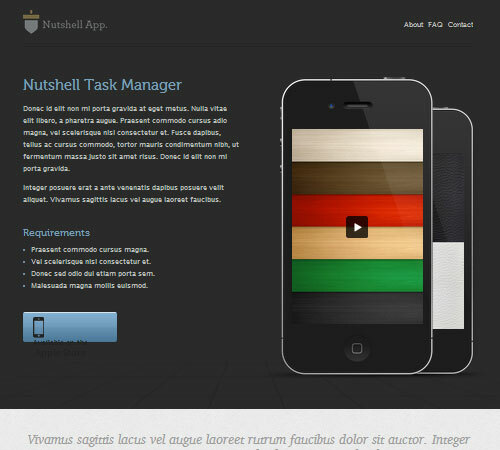 • jQuery page scroller for scroll to top functionality. 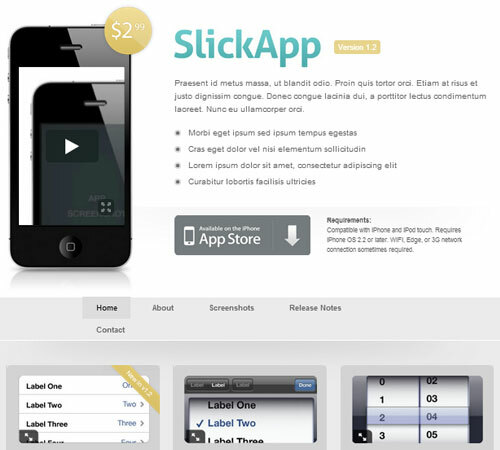 • Includes 64 matching icons with pre-made CSS classes. • Cross browser, table-less grid layout looks great and is easy to edit. 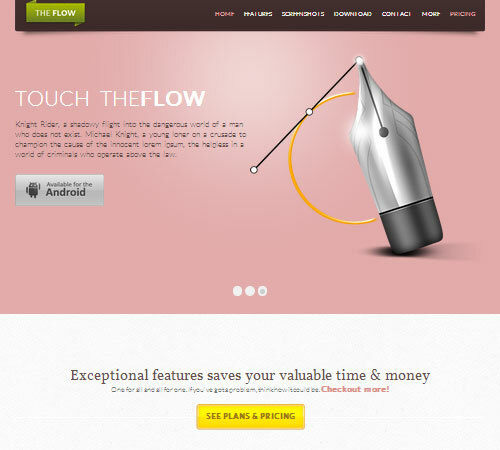 • Toggle system for stylish frequently asked questions. • PSD included for easier customization. • Well Documented and step-by-step instructions + video tutorial. • Structured and Commented Files. • All major browsers supported. • Built in flexible image slideshow. 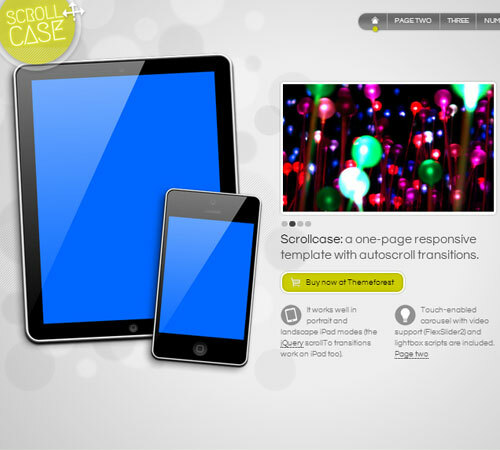 • jQuery multi-directional scrollTo transitions. • It has a Flexslider v2 carousel built into the homepage, uses touchTouch for image lightbox enlargements – both are swipe gesture enabled. 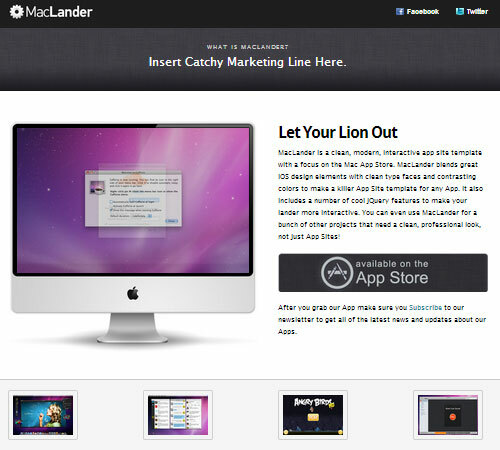 • It has an overlay slide-out Twitter feed panel (based on the standard Twitter widget panel). • It is responsive i.e. it reflows/simplifies on small viewports e.g. 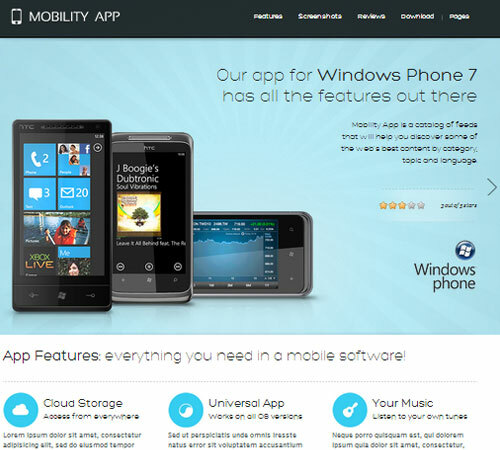 mobiles, and there are two navigation formats dependent on the device. • Crousal for App screenshot. • Team section with email, web link of the member. • PrettyPhoto Lightbox gor the Gallery. 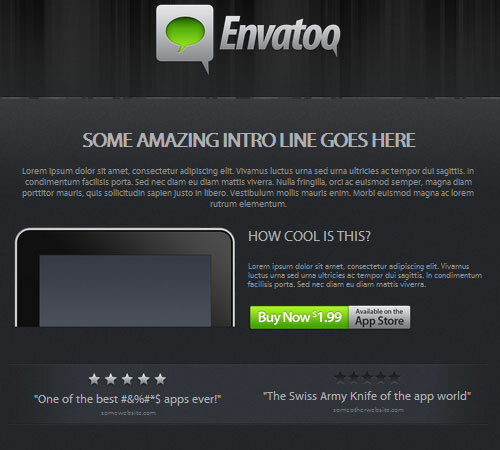 • Includes Neatly Layered PSD ’s. 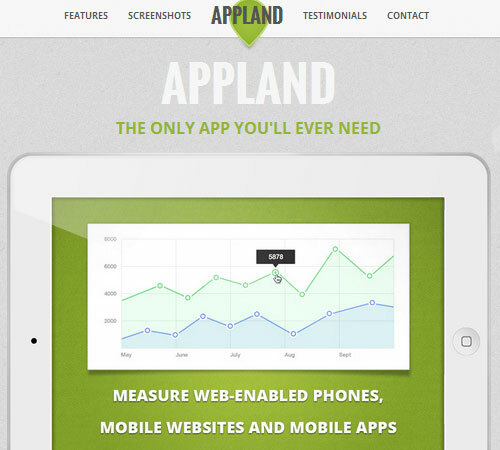 • Built-in Fullscreen Background Support for Mobile Devices. 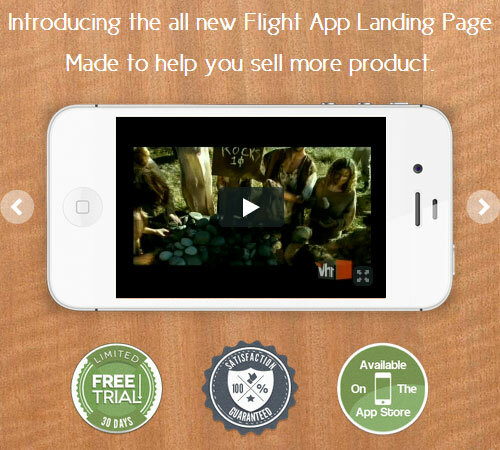 • Two different layouts, one geared towards businesses seeking to promote their mobile apps, the other towards companies selling software or any other type of digital or physical products. 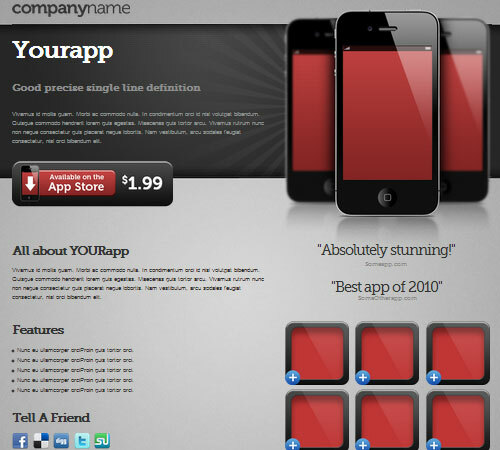 • jQuery lightbox overlay for video with customized skins. 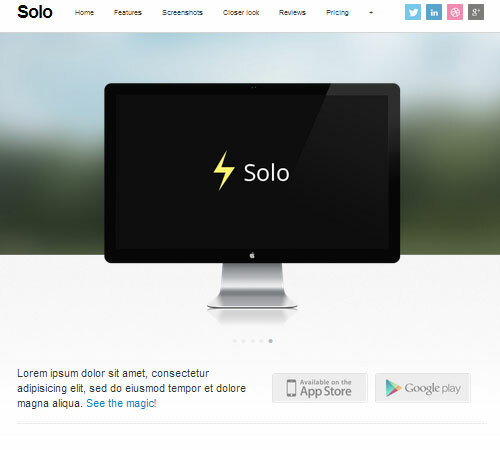 • jQuery Nivo image slider. • Six custom designed icons for the feature area and four more for social media websites. 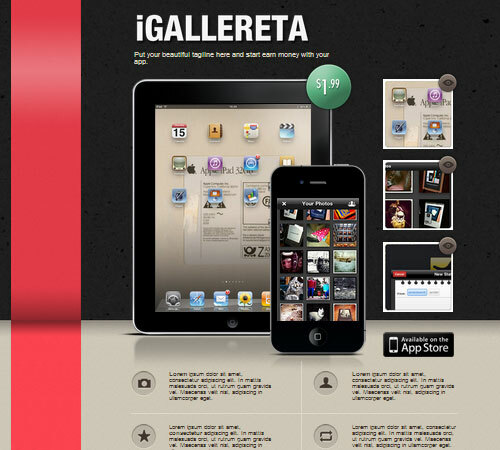 • PSD templates for iPad/iPhone customisation. • PSD source files for easy customisation. 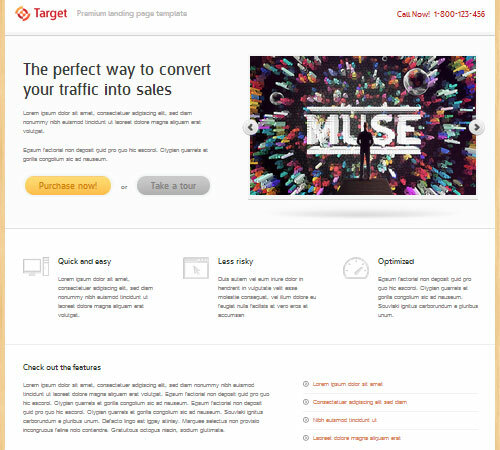 • Many different sample page(slice) types: Portfolio, Image slider, Contact form, About section, Product/Service showcase, Featurelist etc. 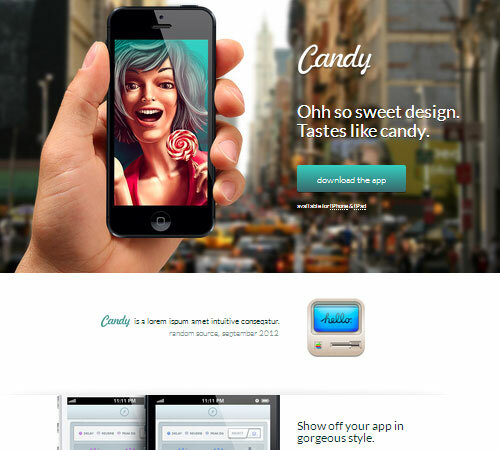 • Custom color, Stripes etc..
• Custom jQuery effects for the One page version. • A lot of helper classes to quickly style your content. • Photoshop source (layered PSD ) included. • Layered PSD design sources. • xHTML & CSS valid code. 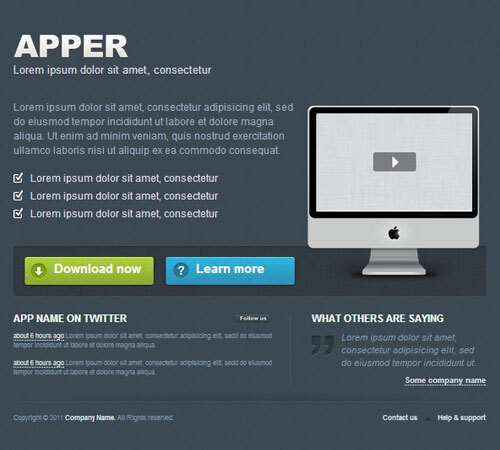 • Configuration interface based on the popular Bootstrap by Twitter framework . • CSS Sprites for reduced loading times. • Based on 960 Grid. May it be another collection of app landing pages or other type of templates, let us know what you need and we’ll try to hunt it down for you. The information you have provided here is just useful and creative!I appreciate the effort you have put to make this useful post!